The Secretariat supports the APPG in holding events, organising field trips and conducting research, such as inquiries and publications, to raise awareness of the importance of trade as a route out of poverty, and to find ways of enabling poor countries to develop through trade. 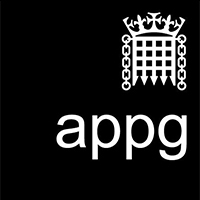 Read about the most recent APPG TOP events, news and other activities in our newsletters. For more information, please contact Stephanie Gilibrand, Coordinator of the APPG TOP, at TOP@saana.com.